The Taipei Zoo is one of the largest zoological gardens in Asia. It was founded in 1914 during the Japanese rule in Taiwan. Established at Yuanshan Mountain, the zoo used to be a private zoological garden under the ownership of Mr. Oe, a Japanese. The Japanese government acquired the property in 1915 and opened it as a public zoo whose main objectives are conservation, research, recreation, and education. When the war was over, management of the zoo was given to the city government of Taipei. The zoo soon became too small for the animals. In 1973, a need for expansion was identified in order to have better living conditions for the animals. The original site was closed down on August 15, 1986. The zoo was relocated to a much bigger place in Muzha District and was officially opened in 1987. It has a total area of 165 hectares. Of this, only 90 hectares are open to the public. One of the most popular residents of the zoo is an elephant called Lin Wang. The elephant was used by the Chinese Expeditionary Force between 1937 and 1945. When the second Sino-Japanese war was over, the elephant was brought to Taiwan and was made to stay in the Taipei Zoo where he quickly won the hearts of visitors. He was fondly called Grandpa Lin Wang. He died in 2003 at the age of 86. With six buildings housing different groups of animals and eight exhibition areas having different themes, the zoo has established itself as a leader in animal conservation. Its six buildings are the Amphibian and Reptile House, the Nocturnal Animal House, the Insectarium, the Koala House, the Penguin House, and the Education Center. Its exhibition areas include the Asian Tropical Rainforests Animal Area, Children’s Zoo, the Desert Animal Area, the African Animal Area, and the Bird World. The zoo also has a panda exhibition area. Every year, the zoo receives about 4 million visitors. At present, the giant pandas are the most popular animals in the zoo, especially the two giant pandas that mainland China gave to Taiwan in 2008. These are named Yuan Yuan and Tuan Tuan. Many people go to the place just to see a Taipei Zoo panda. The Panda House inside the Taipei Zoo is open every day except on the first Monday of each month. It focuses on conservation efforts and information campaigns for the protection of these animals. Aside from these, Panda House personnel are equipped with the knowledge and skills to ensure that each Taipei Zoo panda is well taken care of. 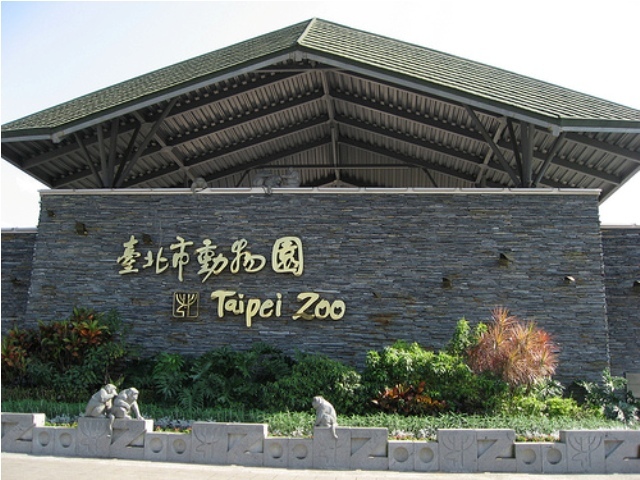 The Taipei Zoo is located on Xin Guang Road. To get to the place, you simply need to take the MRT and go down at Taipei Zoo station. Admission fee for the zoo is NT$60 for adults and NT$30 for children from 6 to 12 years old and students with valid IDs. Admission is free for children below 6 years old. The zoo is open from 9 am to 5 pm every day. However, visitors will no longer be allowed entry after 4pm.